Court Upholds Indiana Law Banning Sales of Aborted Baby Parts: We call it Good News Friday because it's a chance for David and Tim to share some good news from across the nation and around the world. 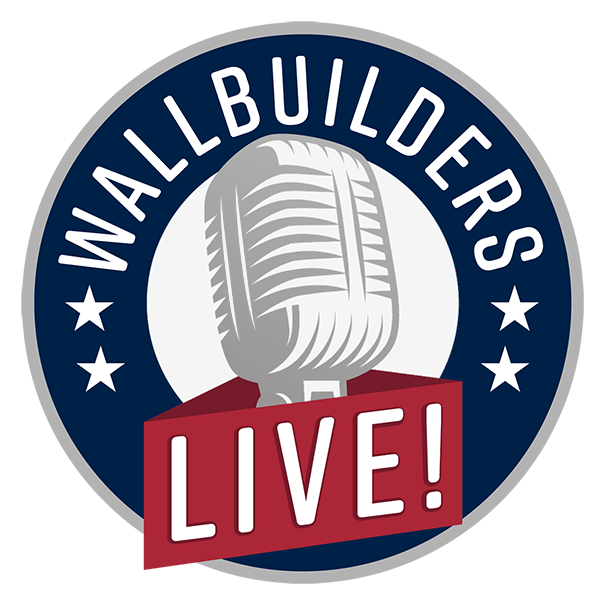 We don’t often hear good news from major media, however, here on WallBuilders Live, we love sharing news worthy of celebration! Was The American Revolution An Act Of Terrorism: Its Foundations of Freedom Thursday, a special day of the week where we get to answer questions from you, the listeners! Always answering your questions from constitutional principles! Tune in today as we answer your most pressing questions! An Overview Of The Constitution! Constitution Alive Part Three: Our Constitution is still alive and applicable today! As citizens, we all have a duty to study the Constitution, to understand where our rights and our freedoms are laid out in that document, and how our government structure should work. The reason our government continues to overstep its boundaries is because “we the people” don’t know what those boundaries are! Tune in now for the third part of our three-part series! An Overview Of The Constitution! Constitution Alive Part Two: Our Constitution is still alive and applicable today! As citizens, we all have a duty to study the Constitution, to understand where our rights and our freedoms are laid out in that document, and how our government structure should work. The reason our government continues to overstep its boundaries is because “we the people” don’t know what those boundaries are! Tune in now for the second part of our three-part series! An Overview Of The Constitution! Constitution Alive Part One: Our Constitution is still alive and applicable today! As citizens, we all have a duty to study the Constitution, to understand where our rights and our freedoms are laid out in that document, and how our government structure should work. The reason our government continues to overstep its boundaries is because “we the people” don’t know what those boundaries are! Tune in now for the first part of our three-part series! USS Hornet Survivor Vet Richard Nowatzki Shares His Incredible Story Part Two: Today, we are sharing part two of the interview we had the privilege of recording with WWII Vet Richard Nowatzki. Tune in now as he shares with us stories of his incredible military career, including being one of the survivors of the USS Hornet and The Doolittle Raid. You won't want to miss today's episode! USS Hornet Survivor Vet Richard Nowatzki Shares His Incredible Story Part One! USS Hornet Survivor Vet Richard Nowatzki Shares His Incredible Story Part One: Today, we have the special opportunity to interview WWII Vet Richard Nowatzki. He shares with us stories of his incredible military career, including being one of the survivors of the USS Hornet and The Doolittle Raid. Tune in now to learn more! ObamaCare Abortion Mandate Lawsuit Lost, A Major Win For Pro-Life! ObamaCare Abortion Mandate Lawsuit Lost, A Major Win For Pro-Life: In today’s episode we discuss why Obamacare became a challenge for Christian ministries because of the federal mandates that were placed on them and how we are starting to see a major shift. Tune in now to learn more! The Pilgrim’s Progress Coming To Theaters This Weekend! The Pilgrim's Progress Coming To Theaters This Weekend: The Pilgrim’s Progress was first written in book form. It actually is the best selling book second only to the Bible! Yet, why have so few people heard of this story in today’s culture? And what about the story made it so popular? Tune in now to find out. Democrats Making False Claims In Their Political Party Platform. Democrats Making False Claims In Their Political Party Platform: Today, we'll be talking about how Democrats used to claim to be the party of the average man. Well, that’s not the case anymore. They are actually working to implement policies that hurt average Americans. Tune in now to find out what schemes the Democrats are implementing.